changes and an updated cabin. First impressions of the new Mazda3? While the overall silhouette of the 3 is not a huge departure from the current model, changes include a revised grille, new front fog light bezel, LED headlights and taillights, and a new design of 18-inch alloy wheel. The result is a car that looks more purposeful, dynamic and slicker than previous models. What about the interior? Inside there is a much more premium feel throughout, with a new centre console and infotainment system and the manual handbrake has been replaced by an electronic one. Space is good for the driver and front passenger, but rear seat passengers don’t fare quite so well, particularly taller ones as it’s a little on the cramped side. Engine choice? Under the bonnet, there are four engines to choose from: a 105ps 1.5-litre or 150ps 2.2-litre diesel engines and a petrol line-up that includes a 100ps 1.5-litre or 120ps 2.0-litre. A choice of a six-speed manual or automatic is also offered. Mazda3 on road? Mazda chose Scotland’s highlands to unveil its latest model where impressive mountain scenery served as a stunning backdrop to hairpin bends, road dips and narrow single-track sections. The new 3 did not disappoint, it is fun to drive, composed and the steering is well weighted while the somewhat stiff suspension keeps the car nicely grounded on twisty roads. In terms of engines the 2.2 diesel is an impressive performer and the one to opt for as it offers the best combination of performance and economy, the smaller 1.5 diesel struggles by comparison. Whats new for 2017? 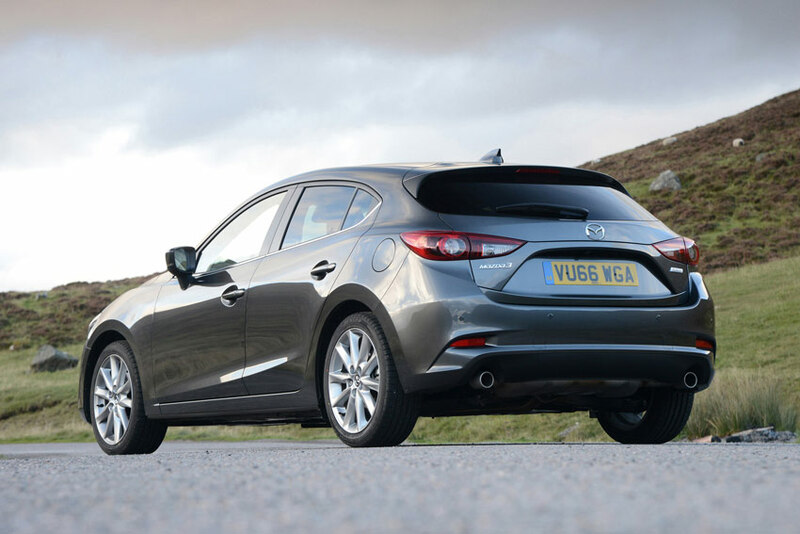 The biggest change to the Mazda3 is the addition of a system known as G-Vectoring Control (GVC) that essentially flatters you as a driver by making cornering smoother. By taking inputs from the steering wheel angle and car speed it correct any flaws and whats even better the whole process happens in a split-second and is virtually imperceptible. But the G-Vectoring system is not just about road holding and driving dynamics it minimizes steering effort so this in turn means the overall experience of driving is less tiring and even for passengers it’s a calmer and smoother experience and as a result is also likely to lessen travel sickness especially for children and rear seat passengers. It won’t put an end to the constant “are we there yet” questions but it may just reduce them. How much? The 2017 Mazda3 range will start at €23,295 and comes in four trim levels: Executive, Executive SE, GT and Platinum. How Safe? 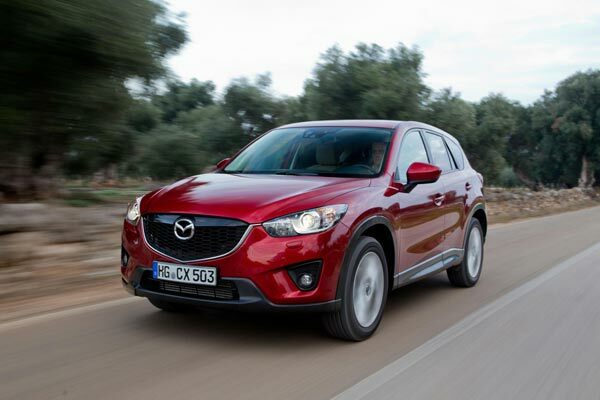 Safety has also been enhanced and the new model comes equipped with an expanded range of the Mazda’s i-ACTIVSENSE driver-supporting safety technologies including a new, forward sensing camera that can detect pedestrians in addition to vehicles.